Dvora Ancona and Valerio Pedrelli discuss the results of a comparison study of two technologies to treat the ageing neck, including wrinkles, skin texture and skin laxity. Patient demand for minimally invasive procedures to treat common ageing conditions has led to the introduction of various treatment modalities. A number of technologies based on generating a controlled wound to the skin, such as lasers and radiofrequency, are widely used and have been established as an effective treatment for a full range of facial skin ageing symptoms by inducing production of new collagen and elastin1-4. The use of dermal fillers and botulinum toxin has become common practice for the improvement of facial wrinkles and the restoration of decreased facial volume, typical to ageing. These technologies have enabled a relatively wide range of alternatives to facelifts that were, in the past, the only effective available treatment for ageing symptoms. 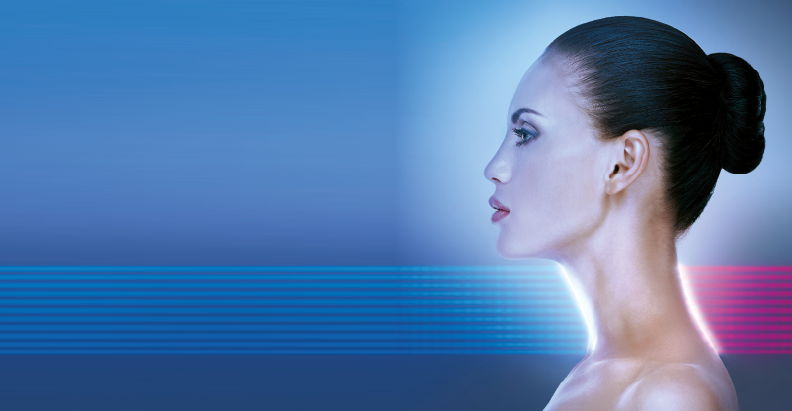 Non-surgical options to improve conditions of skin laxity for the ageing neck are less abundant, and, at the same time, neck lift surgery is not an ideal treatment option. Several complications of neck lift surgery include infections, skin contour irregularities (associated with liposuction of the neck), permanent nerve injury, and even ear lobe deformity or hair line distortion5. Some of the adverse outcomes can be resolved by corrective surgery, resulting in a longer downtime and further inconvenience. Tierny and Hanke7 published results of a prospective study performed with a CO2 fractional laser (DOT Eclipse Med, Dallas TX), the authors reported a significant improvement of skin laxity and wrinkles with a high safety profile7. Recently, Bencini et al.,8 reported on a clinical study using non-ablative 1540 nm erbium glass laser (Lux 1540™, Palomar Medical Technologies)8. Six sessions were performed at 4 week intervals. 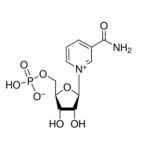 The authors reported a significant improvement in skin dyschromia and superficial wrinkles of the neck, with less effect on deep horizontal wrinkles and no improvement of skin laxity. Non-ablative radiofrequency (RF) has been established as an effective treatment with no downtime and a very high safety. Recently, devices using fractional RF microneedle technology have been introduced for the treatment of facial wrinkles, skin tightening, and the correction of skin imperfections, such as acne scars and stretch marks10. The unique method of administering the treatment energy directly into the dermis via microneedles, enables a controlled, focused treatment while minimizing the thermal effect on the epidermis, enabling minimal downtime and adverse effects. Mulholland et al., evaluated the effect of a fractional ablative RF technology for skin rejuvenation (Fractora™ by Invasix Ltd.)11. The treatment tip uses an array of sharp RF conductive needles, creating cone like craters in the skin. Histological findings demonstrated deep ablation and collagen restructuring in the papillary and reticular dermis. The authors reported a reduction of wrinkles and achieved a level of skin tightening, similar to the results seen with fractional ablative CO2. In all cases, re-epithelialization occurred within 4–7 days and with no significant adverse effects such as hypo-pigmentation, PIH or hypertrophic/hypotrophic scars. The authors concluded that the fractional RF multineedle technology was effective and safe with less risk of hyper- or hypo-pigmentation on Asian skin, as a result of the direct energy delivery method enabled through microneedles. The safety and efficacy of a microneedle RF (MRF) technology (Infini by Lutronics, USA) was assessed for the treatment of facial wrinkles on skin types I–V, results were published in a company white paper12. Needle depths ranged from 0.5 mm to 3 mm, depending on the anatomical site and pass number. Treatments ranged from 1–4 sessions at 1 month intervals and subjects were followed from 3 months to 1 year after treatment completion. The results obtained after the last treatment continued to improve over time. The study demonstrated the effectiveness and the safety of the MRF technology with an important conclusion on the safety of microneedle RF for skin type V.
A novel technology has recently been introduced based on Hybrid Energy™ (Surgen HE, Pollogen, Israel), a combination of RF and an additional electrical energy. An ex-vivo study on human skin samples, performed with the hybrid energy (HE) technology, demonstrated the ability of this technology to rejuvenate the skin via controlled micro wounds that induce epidermal renewal and dermal regeneration through a demonstrated healing process accompanied with a significant increase of collagen density, elastin fibers and GAGs13. This retrospective study was designed to evaluate the effect of fractional HE microneedle RF technology for treatment of neck skin laxity and wrinkles, and to compare it to the effect of another microneedle RF technology, which uses thicker needles and various needle lengths. For both technologies, only healthy patients were included, with normal skin parameters (such as pH, hydration, etc. ), with no dermatological problems, and no diseases such as diabetes, hypertension or hypercholesterolemia, in order to avoid bias results. The skin phototype ranged between I–III. For both technologies, patients with dermatological problems, such as seborrhea, hydration problems, psoriasis, vitiligo, and dermatitis, were not included. Skin types between IV–VI were excluded. The study was performed during the winter months, since patients need to avoid sun exposure, for a period of 6 months after treatment. The HE fractional technology is provided by the HE applicator attached to the Surgen™ platform (Pollogen Ltd). A single-use disposable HE microneedle tip (gen36) is attached to the HE applicator. Needle length is 0.5 mm and thickness is 150μm. The novel combination of RF and additional electrical energy for enhancing the RF thermal effect, is aimed at maximizing the treatment effect in order to improve clinical results and stimulate a controlled wound-healing response. Hybrid energy delivery is optimized via the uniform, homogenous and full penetration of the 36 microneedles via hot RF ablation, creating microwounds invisible to the eye. The fractional treatment manner creates islets of untreated areas serving as a healing reservoir. The controlled and focused penetration through the epidermis, papillary dermis and into the reticular dermis allows for optimization of the impact on the dermis while minimizing the visible effect on the epidermis. The Surgen platform is equipped with a touchscreen displaying pre-programed adjustable power settings of low, medium, and high. other device (Device B) uses disposable tips with adjustable microneedle length that range between 0.5-3.5 mm. The thickness of the needles is 200μm. 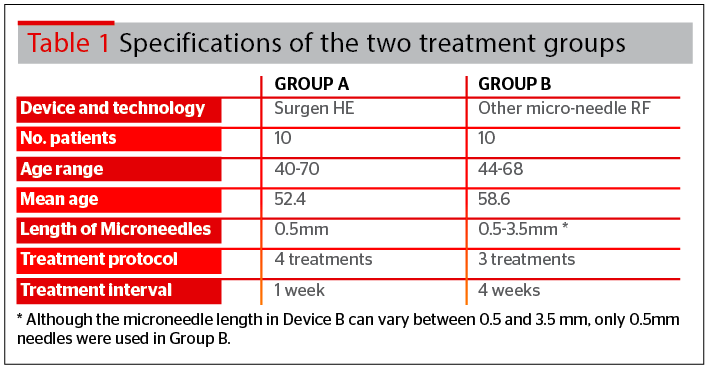 For the purpose of this study, only the 0.5 mm needle length was used, in order to be uniform with the HE device. The needles penetrate the skin by mechanical force (without RF ablation). After penetration, a pulse of RF energy is delivered via the pins into the target area creating coagulation zones in the dermis. The needles are then withdrawn from the dermis. The treatment is based on a synergy between the microneedle wound and the thermal coagulation generated by RF. This method uses a multiple skin layer approach by a multiple pass treatment, with varying penetration depth per pass, generating variable layers of coagulation zones in the dermis. For each of the devices (A and B), treatment regimens and number of treatments were performed according to each of the Manufacturers’ instructions and specifications. Each Manufacturer indicated the optimal conditions for best results when using their device. Baseline photographs, captured before the first treatment, were compared to photographs of the patient captured at interval times and at the 6 month follow-up visit. All pictures were taken in the same special photography room, and with the same Camera (Canon EOS60D). Each patient was photographed in the same position, same distance from the camera, and same light intensity, before and after the various treatments. Patients rated the pain level of the treatment using the VAS score for pain. Pain Score Numbers range 0–10, where 0=no pain and 10=worst possible pain. The treated area was inspected for evaluation of elasticity and for unwanted side-effects, such as change of pigmentation, bruising, fragile skin, scarring, edema, hematoma, or other morphological changes in the treated area. Skin elasticity was measured using a Multi Skin Center® MC 750 DERMACHECK device. Aquaphor ointment was prescribed for 1 week, for both groups (no cortisone, or anti-inflammatory, or other medication treatments). Patient satisfaction from the outcome of the treatments was evaluated. 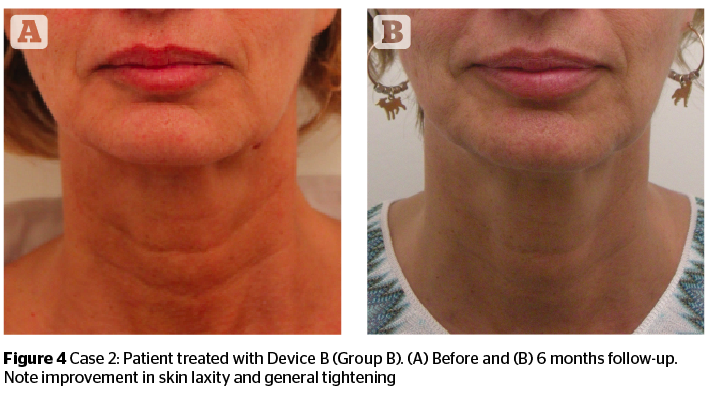 Comparison of photographs taken at baseline, at set intervals, and at 6 month follow-up, demonstrated an improvement in skin texture, skin laxity, and a reduction of wrinkles and general tightening of the treated neck. Improvement in neck appearance was observed in all patients of both groups. 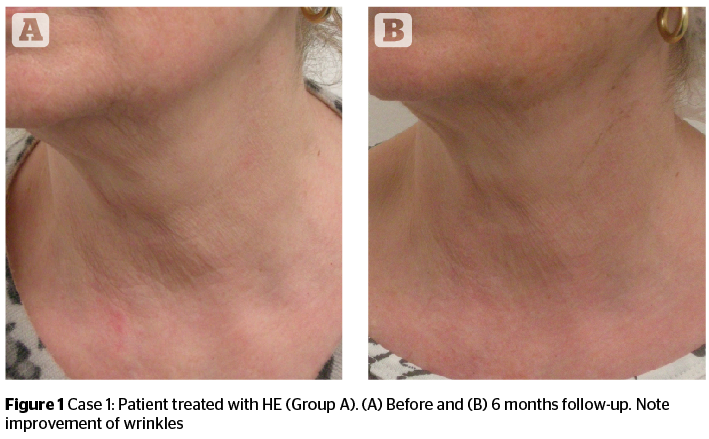 Figures 1–2 demonstrate the improvement in neck appearance of subjects treated with the HE technology, at baseline and at 6 months follow-up. 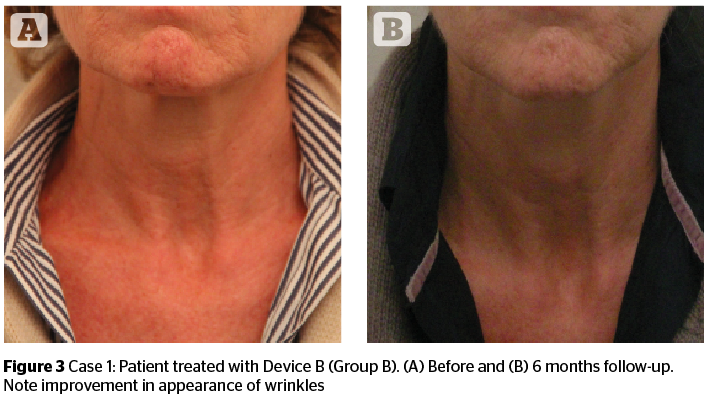 While Figures 3–4 below demonstrate improvement results in neck appearance of subjects, following treatment with Device B microneedle RF (MRF), at baseline and at 6 months follow-up. 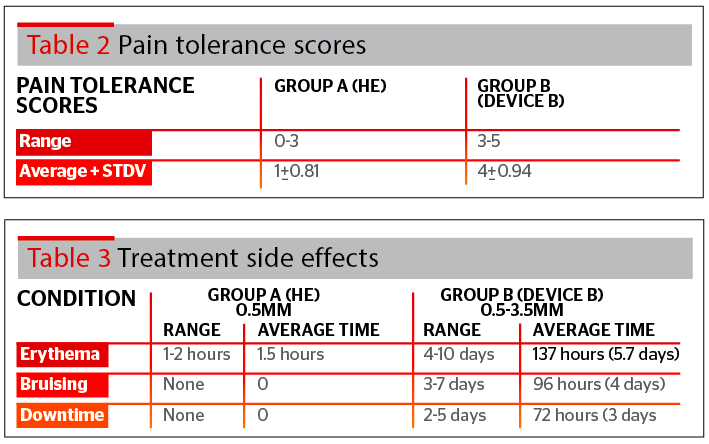 VAS pain scores as rated by patients in group A (HE group), ranged between 0–3 (No pain to mild pain) with an average of 1±0.81. Pain scores of patients as rated by patients in group B ranged between 3–5 (mild pain to uncomfortable pain), with an average of 4±0.94; results are summarized in Table 2. Visual skin inspection was performed to assess treatment side-effects, such as erythema, edema, neck redness, bruising, swelling and general appearance that would require patient downtime away from their daily schedule; results are summarized in Table 3 and Figure 5. Assessment of skin elasticity showed a similar improvement with an average of 7% in both groups. Patient satisfaction was slightly higher for Group A (HE): 90% satisfaction compared to 80% satisfaction for patients of Group B. 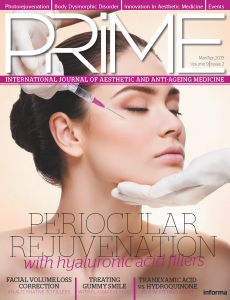 Fractional treatment methods opened a window of opportunity for a large population seeking anti-ageing aesthetic treatments with less risk, pain and downtime than those associated with more aggressive methods. A fractional treatment method delivers energy to specific small ‘islets’ of tissue, leaving intact skin in-between these treated islets. Healing is initiated from the unaffected skin areas resulting in reduced downtime and pain, and reduced complications with impressive results. Fractional technologies first emerged around 2003 (Reliant) and soon gained popularity leading to the development of a variety of ablative and non-ablative fractional laser options4,14. Fractional radiofrequency technologies are gaining popularity and have become an accepted treatment method for wrinkles, lax skin and general texture improvement with a high safety profile and minimal downtime15–17. A study using the TriFractional™ (Pollogen) fractional RF for treatments of facial wrinkles and rhytides, demonstrated that this technology, using the A3F applicator, is a safe and effective method for skin resurfacing resulting in a reduction of wrinkles and enhanced skin and facial appearance. The treatment was found to be safe and effective for dark skin types resulting in improved skin complexion, and an evening out of skin tone and imperfections18. Hantash et al., evaluated the effect of a fractional RF microneedle technology (Renesis™, Primaeva Medical Inc, CA) on human subjects who were treated immediately, 2 days, 14 days, 28 days, or 10 weeks prior to abdominoplasty10. The authors observed a RF thermal zone pattern in the reticular dermis separated by zones of unaffected dermis with complete sparing of vasculature as well as dermal structures such as sebaceous glands, hair follicles, and sweat glands. The observed thermal zones were replaced by new collagen within 10 weeks. The authors also reported an increased volume of the reticular dermis along with increased levels of hyaluronic acid, and elastin. The current study demonstrated that treatment with both RF microneedle devices resulted in improvement of skin laxity and general neck appearance. Group A, treated with the HE technology, a combination of RF and an additional electrical energy intended to enhance clinical effect, did not require a local anesthesia. Therefore, the general visit time was shorter. 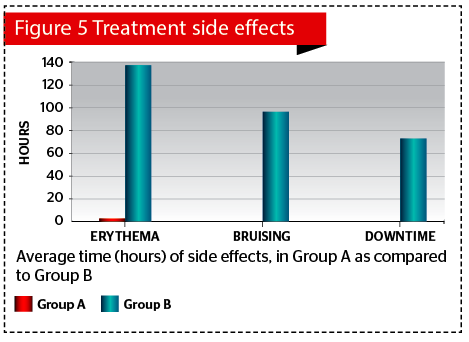 The subjects of group B (treated with other microneedle RF), required application of a topical anesthesia, extending visit duration, however, pain rating was still higher than group A. The microneedles of the HE technology device (0.5 mm long and 150μm thick) enter the skin via a smart RF assisted penetration, enabling a bloodless, painless penetration. The microneedles of Device B, penetrated the skin using mechanical pressure and penetration is accompanied by bleeding and pain. In addition, needle thickness, which is much thicker for device B (200μm in Device B, as compared to 150μm in Device A), might also add to the downtime and pain associated with the Device A modality. Satisfaction rates of subjects in group A was slightly higher compared to satisfaction rates in group B even though results were similar. This is probably due to the more painful procedure and longer downtime in Device B, which included hematomas, temporary edema, and erythema for several days. The authors’ results demonstrate that microneedle thickness influences the pain tolerance index and downtime of patients. In fact, patients in Group A appreciated minimal invasive results, more so than Group B, although the efficacy and improvement results were similar in both Groups. Fractional microneedle radiofrequency technology has shown to be safe and effective in the treatment of skin wrinkles and neck skin laxity, accompanied by patient satisfaction, minimal pain, and short downtime. 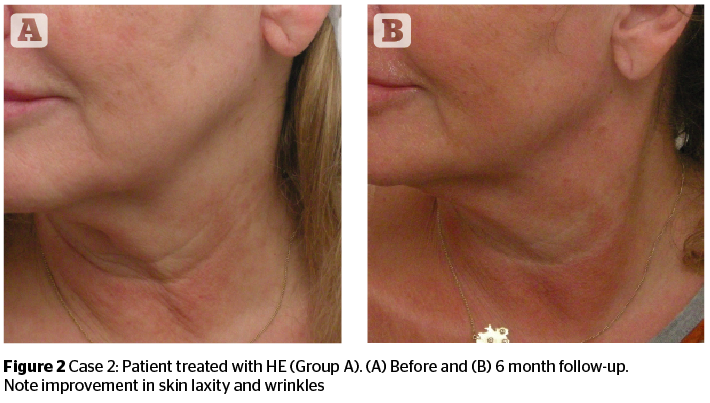 The results of this study clearly demonstrate that the HE technology offers a safer and more satisfactory and tolerable treatment option for the ageing neck, with minimal pain and no downtime. Furthermore, painless treatments, which entail no downtime, but still result in the same efficacy and improvement, can be crucial factors when choosing an aesthetic method. Patients do not want to experience pain and do not want to spend recovery time at home. Aesthetic practitioners should take into account this preference when choosing a device for non-invasive aesthetic treatments, since it has profitable implications and affects the patients’ quality of life. Gold MH, Adelglass J. Evaluation of safety and efficacy of the TriFractional RF technology for treatment of facial wrinkles. J Cosmet Laser Ther. 2014 Jan;16(1):2-7.